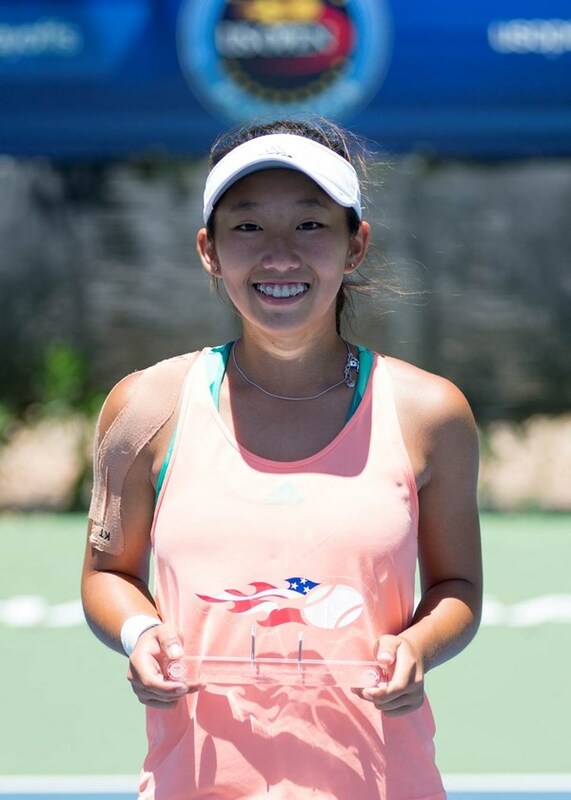 Two of the most entertaining players in all of tennis lead the list of eight players who advanced from the US Open Northern California Sectional Qualifying Tournament, held at the Chamisal Tennis and Fitness Club in Salinas, Calif., June 22-26. With the victories, the eight booked their places in the US Open National Playoffs Championships, held in August in New Haven, Conn., with a chance to earn a spot in the 2016 US Open. 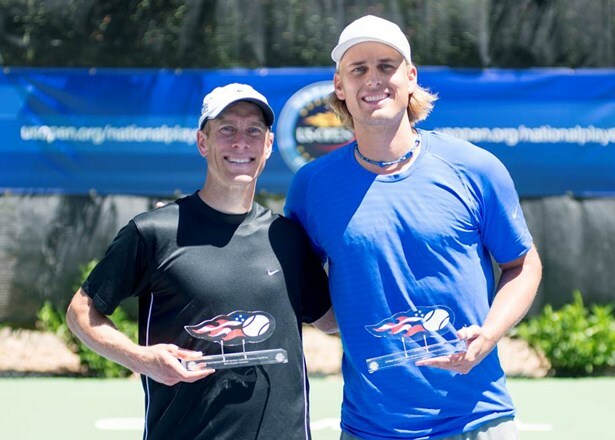 Brian and Dann Battistone, the doubles specialists from Las Vegas who use wishbone-shaped, double-handled tennis racquets that allow them to hit either forehands or backhands off both wings, and who employ volleyball-style jump serves that have been clocked at 139 mph, won the men’s doubles title to advance to the US Open National Playoffs Championships. The brothers won three USTA Pro Circuit titles together from 2007 to 2009. Brian Battistone has competed in the US Open main draw in men’s doubles – in 2010, with Ryler DeHeart – and 2012 – in mixed doubles, with Nicole Melichar; the two won the US Open National Playoffs Mixed Doubles Championship that year to advance. 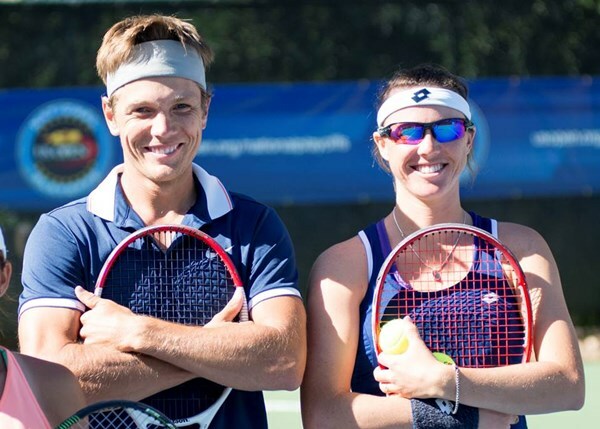 Battistone and Melichar also won the USTA Northern sectional qualifier mixed doubles title in 2013 and the Southwest sectional qualifier singles crown in 2012. The men’s singles title in Salinas went to 20-year-old UCLA standout Logan Staggs, while veterans Rudolf Siwy, 30, and Kaitlyn Christian, 24, won the NorCal mixed doubles crown. 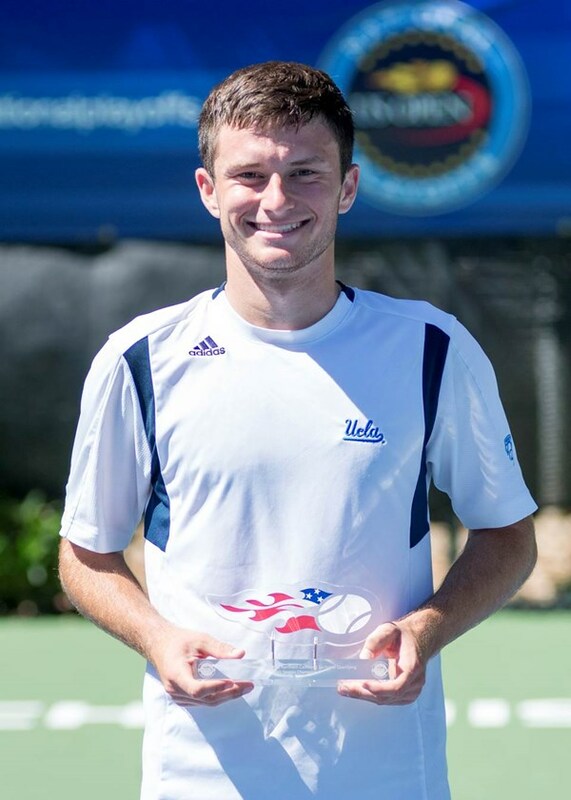 Siwy has won three USTA Pro Circuit titles in his career, while Christian holds five career USTA Pro Circuit/ITF Pro Circuit doubles titles and teamed with Sabrina Santamaria to win the 2013 NCAA doubles title for USC. Christian previously won the Southern California sectional qualifier title in singles in 2010 and in mixed doubles in 2014. 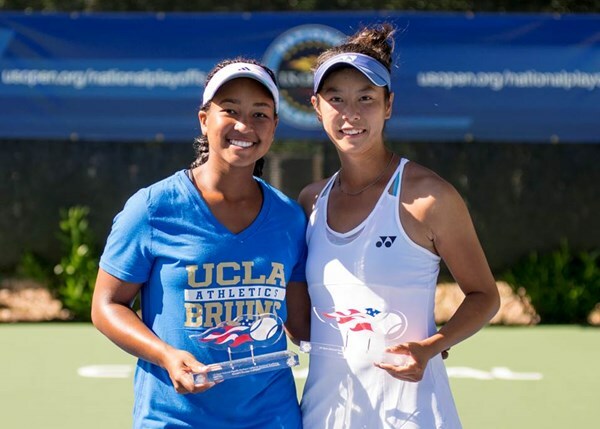 A trio of teens swept the women’s brackets in Salinas, with junior standout Sara Choy, 15, earning the singles crown, and 18-year-old UCLA commitments Jada Hart and Ena Shibahara taking the doubles. Shibahara also won the Intermountain singles title earlier this year. The overall winners of the men’s and women’s singles championships earn a wild card into the 2016 US Open Qualifying Tournament at the USTA Billie Jean King National Tennis Center, home of the US Open. The winners of the men's and women's doubles championships earn a wild card into the main draw of the US Open men's and women's doubles draws, respectively, while the winners of the mixed doubles earn a wild card into the main draw of the US Open mixed doubles draw. The 2016 US Open National Playoffs – Men’s and Women’s Singles Championships will be held Aug. 19-22. The men's and women's doubles championships will be held Aug. 21-24, and the mixed doubles championships will be held Aug. 24-27. For more US Open coverage click here.